On December 29, 2017, Fred Sasakamoose was made a member to the Order of Canada, one of the highest honours for merit in the country. 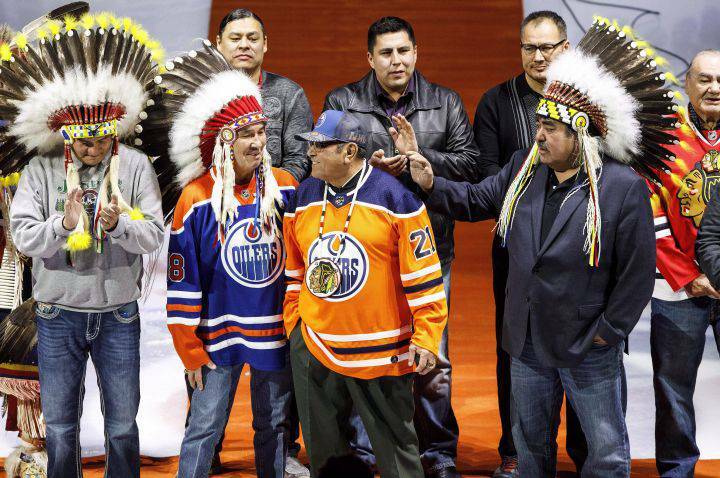 Later that day, he was honoured at a special ceremony in Edmonton, and dropped the ceremonial face-off puck before a game between the Edmonton Oilers and Chicago Blackhawks. Sorry to put a damper on the celebrations, but Fred wasn’t the first to skate in the NHL, and was most certainly not the first professional indigenous player. While only the selection committee knows which factors about Mr. Sasakamoose’s life and contributions to society were considered in the appointment, it goes without saying that the belief that he was the first indigenous player in the National Hockey League stands out among them. Fred’s story has been well documented over the years in books, newspaper articles and documentaries, so I won’t expand on that now, other than to say that he appeared in 11 games for the Chicago Blackhawks in the 1953–54 season, and decided to leave professional hockey to return home. Like most “first” questions, it is difficult to answer conclusively. 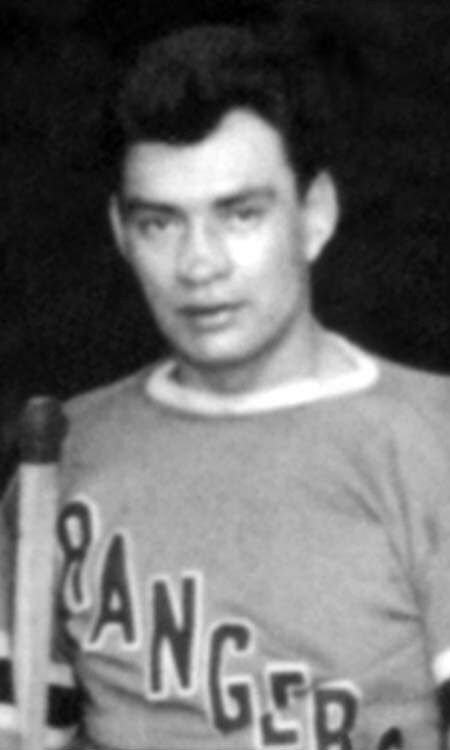 The first indigenous player in the NHL was likely Henry “Buddy” Maracle, who played 11 regular season games and 4 playoff games with the 1930–31 New York Rangers. It should be noted that Fred Sasakamoose’s distinction of being the first indigenous NHL player is often accompanied by the caveat “with treaty status”, as can be seen on his Wikipedia profile. This was the same argument used by the CBC Trailbreakers documentary producer when I pointed out Maracle to them in 2012. My efforts to determine if Henry Maracle was considered of “status” were met with the expected privacy concern responses by the department of Indigenous and Northern Affairs Canada (now Indigenous Services Canada), and ended as soon as they started. I contacted a noted local indigenous CBC reporter who said “status doesn’t define us.” I agree. But he showed no interest in pursuing Maracle’s story. Same thing with the Institute of Canadian and Aboriginal Studies at the University of Ottawa, who I had asked for help in determining Henry’s status. 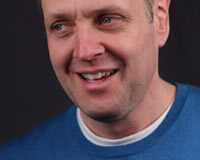 This piece wouldn’t be complete without mentioning Paul Jacobs. Jacobs grew up on the Kahnawake Territory. He played professional hockey as early as 1912, and would go on to play in Montreal, Toronto, Quebec, New Haven and Cleveland. Paul was a noted lacrosse player, and was playing for the Leaside Indians in Toronto in the summer of 1918. The Ontario Lacrosse Association’s president, Charlie Querrie, who was also the General Manager of the Toronto Arena NHL team (loosely the Maple Leafs ancestor club), invited Jacobs to attend the Arenas training camp, which Jacobs accepted on December 10, 1918. Reports in the Toronto Telegram and the The Globe said Jacobs “Shows Good Form” and “…combined nicely with Noble and Denneny for several clever goals.” at training camp. On the day before the season opener for the Arena team against the Montreal Canadiens, the Toronto papers printed the proposed team roster, and Jacobs had earned himself a spot alongside many who would become legends. Fred Sasakamoose deserves to be celebrated, and this piece is in no way intended to disrespect him or his accomplishments. But it also demonstrates that more research must be done, and that the media and institutions have a responsibility to not simply perpetuate common misconceptions. Does status matter? Does the percentage of indigenousness matter? Given modern interpretations by the federal government and Supreme Court rulings, I would said that the answer is a resounding “No”.